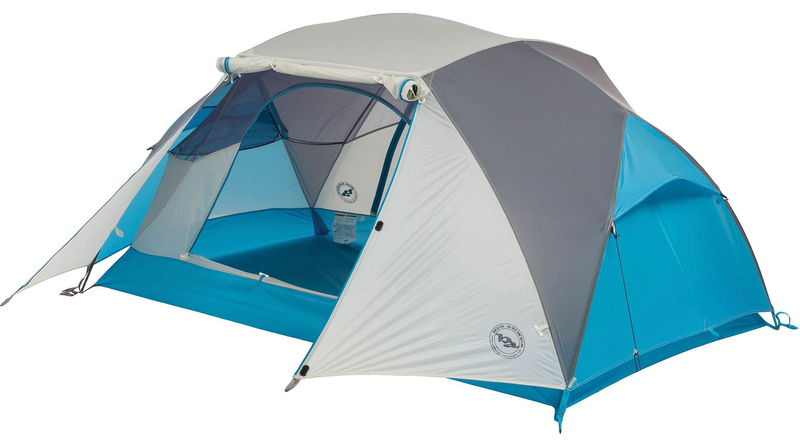 Marked down from $400 to $260, the Big Agnes Tufly SL2+ is a backpacking tent that doesn’t skimp on comfort. Sometimes, a little luxury in the woods is a welcome relief after the long slog in. That is if you appreciate tent amenities that feel like you’re car camping even when you’re not. The Big Agnes Tufly SL2+ lives outside the brand’s ultralight backcountry line. But we trust Big Agnes and know its tents perform. We’ve reviewed plenty of them, and one nabbed a spot in our “10 Best Selling 2-Person Tent” review. At 4.3 pounds, the Tufly for two is a breeze to haul and unfolds easily and asymmetrically. It also has nice features like a generous stash of storage and overhead media pockets, plus roomy square footage and vestibules for hanging out after an adventure.